Chennai's ground at Chepauk, also known as the M A Chidambaram Stadium, is famous in world cricket and has a long history of exciting matches. However, since the construction of the stadium in the early seventies, the characteristic 'swing' of the ball created by the incoming sea-breeze which led to so much post-lunch excitement has dwindled away. 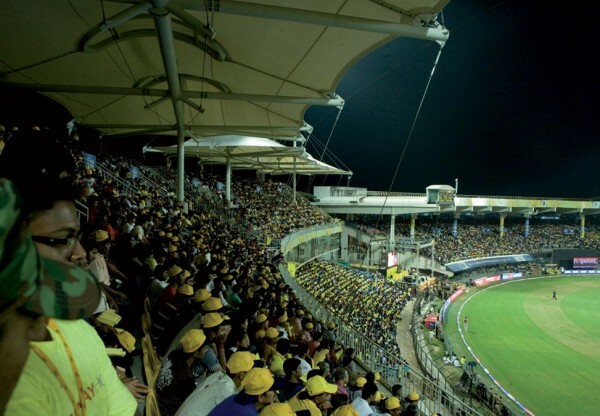 In 2009 Hopkins Architects were asked by the Tamil Nadu Cricket Association to find a way to increase capacity, provide additional corporate box and air-conditioned accommodation, maintain roof shading and get that 'swing' back. It was also important that the principles of Vaasthu, an Indian tradition, similar to feng shui, be adhered to in the design. 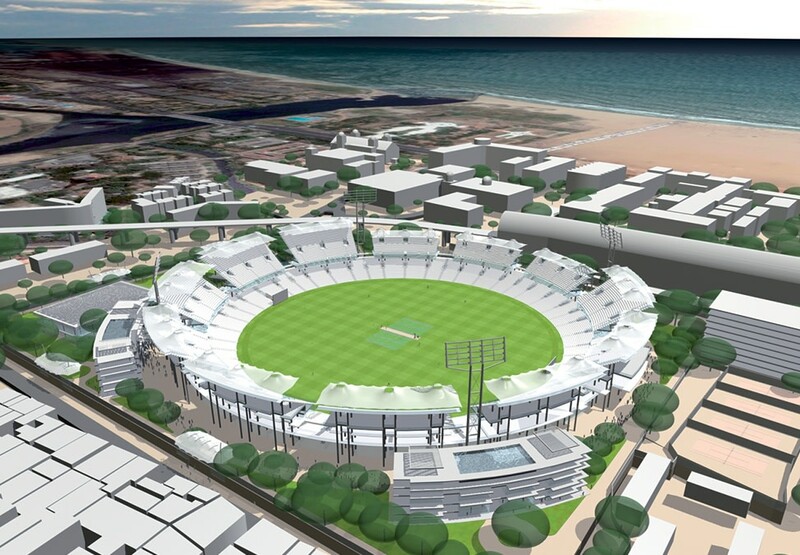 The existing ground is situated in a tight urban site a couple of streets from the beachfront to the east. Our proposals create a series of twelve stands set on top of a continuous lower bowl of terracing. The sea-breeze is then able to flow through the horizontal gap between the lower terrace and the upper stands, through the vertical gaps between the stands and across the playing surface. Stands on the western edge of the site are reduced in scale, but follow a similar section, to allow greater air flow from the east. Day-time temperatures can reach 45°C in Chennai and so extensive translucent fabric roof structures provide shade over the stands. 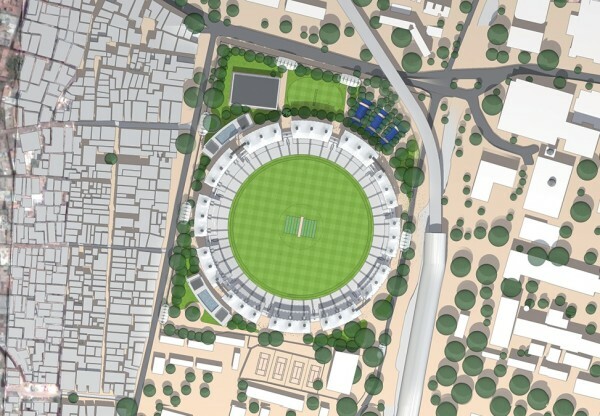 Sports and catering facilities such as badminton, squash and swimming pools for two social clubs at the ground, in addition to a cricket academy and car parking are also provided as part of the redevelopment.